Fast steering: The steel diamond-tube frame has a tuned rigidity balance to enhance feedback to the rider. The engine is close to the swingarm pivot point for fast steering and easy handling. 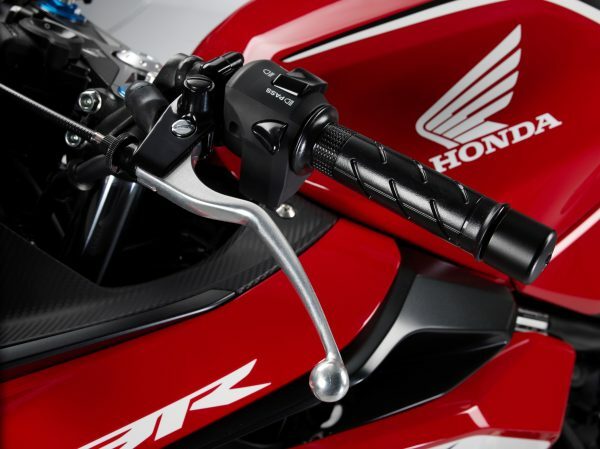 Seat height is an easy-to-manage 785mm. 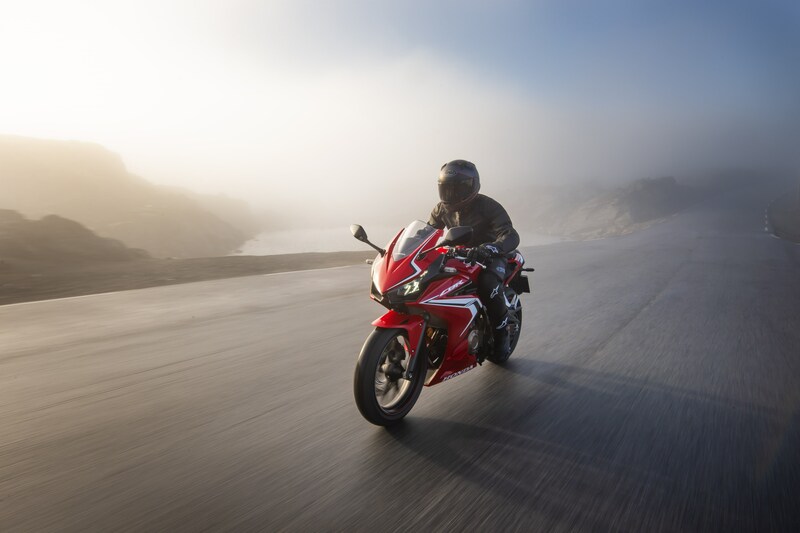 You own the road. 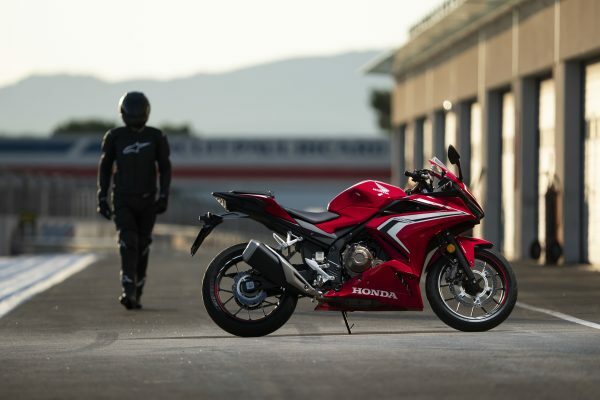 Get out and explore it. 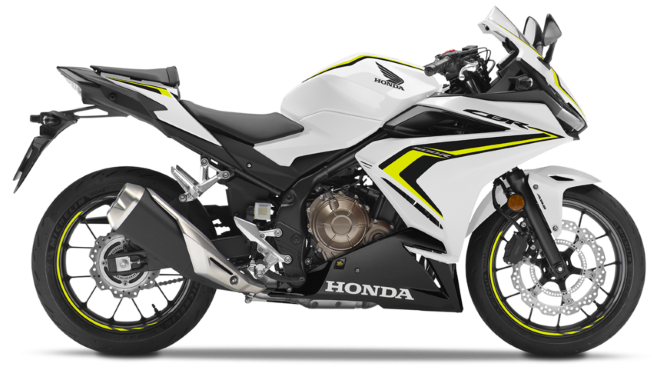 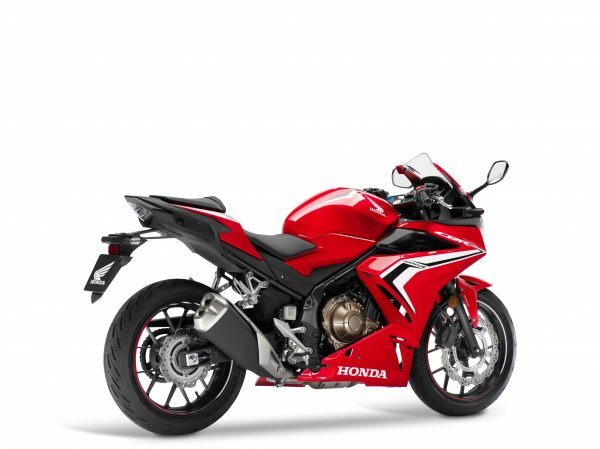 Lightweight Wheels: The new CBR500R has been designed to give you optimum manoeuvrability at high speeds. The lightweight 17-inch cast aluminium wheels feature hollow cross-section Y-shaped spokes. 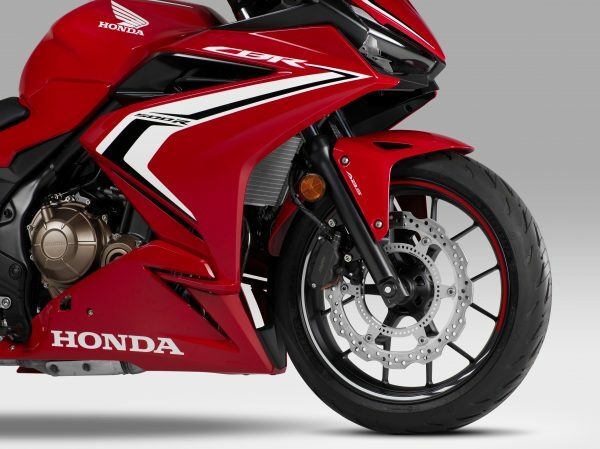 The front tyre is a 120/70-ZR17 and the rear a 160/60-ZR17, giving you a great balance between good grip and light, neutral steering. 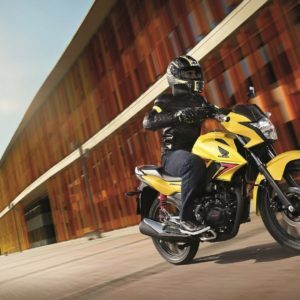 Now you can explore any territory. Braking control: Weather conditions should never stop you from riding. 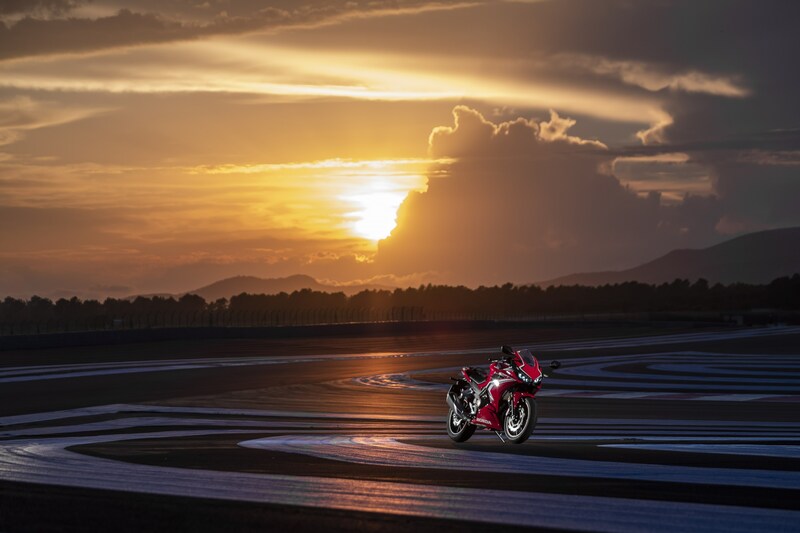 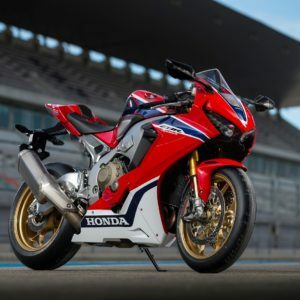 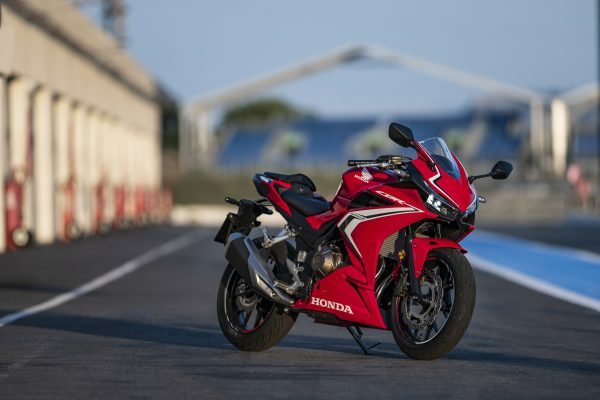 That’s why we’ve equipped the new CBR500R with a single front 320mm wavy disc and powerful two-piston brake caliper, matched to a 240mm rear disc and single-piston caliper. 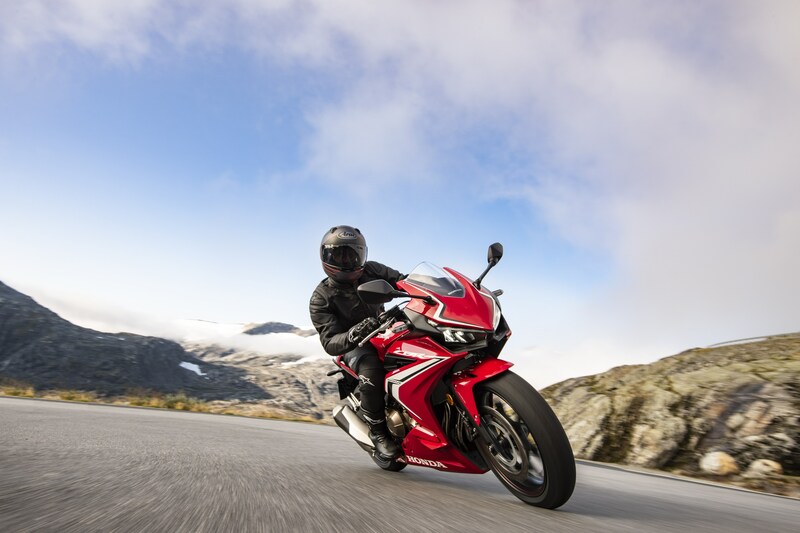 2-channel ABS is fitted as standard, managing braking force on wet or dry roads. 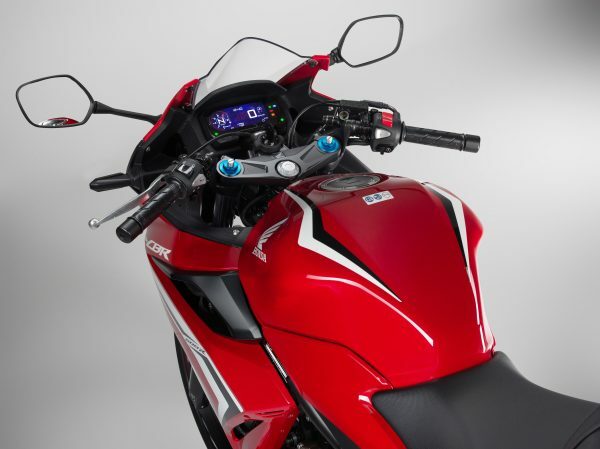 Information Display: The new CBR500R features an attractive negative-display LCD dash. All the information you need is now easily accessible and clearly and concisely presented. 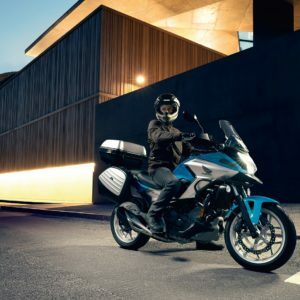 Exhaust Note: A redesigned airbox streamlines the PGM-FI fuel injection process, and a new exhaust system gets rid of spent gases quickly and effectively. 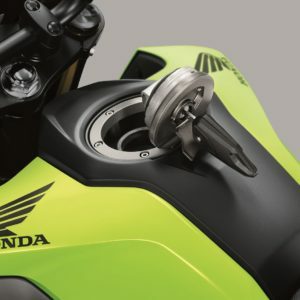 The muffler’s internal chamber has been engineered to be efficient, but it’s also tuned to add a crisp, evocative note to the riding experience. 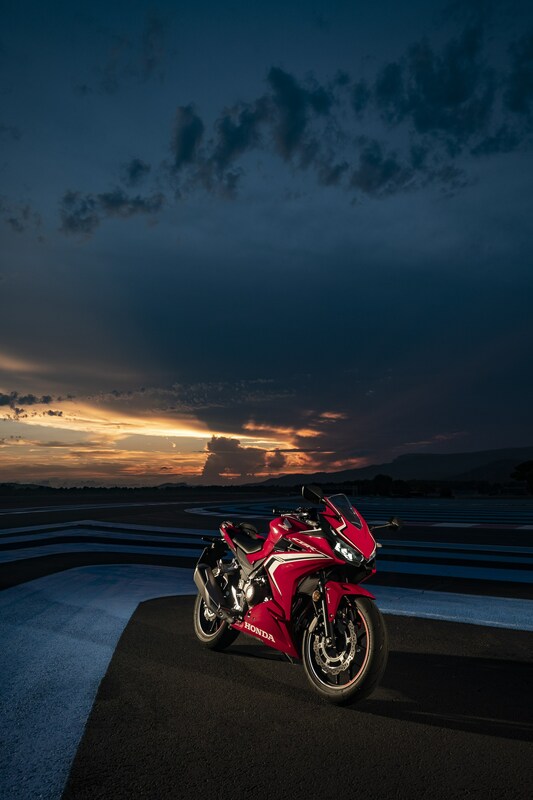 LED Lighting: The placement of the headlights and front turn signals give the CBR500R a sporty, contemporary silhouette. The bike features full LED lighting, which optimises efficiency and creates less of a drain on the engine. 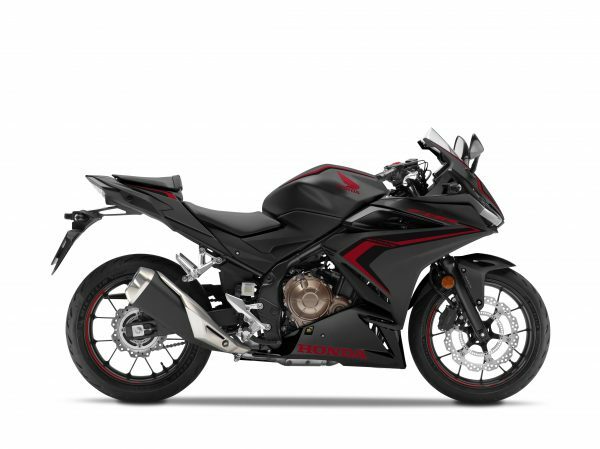 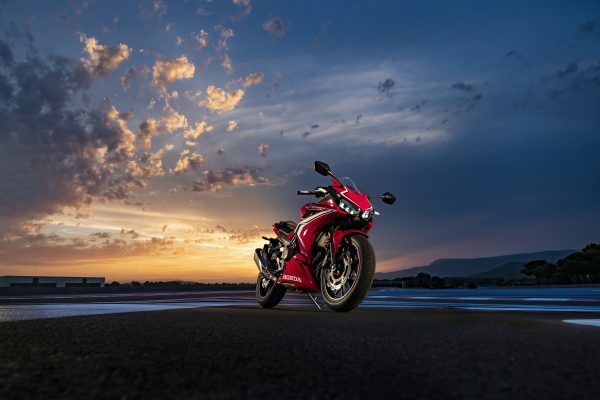 Centalised Design: The CBR500R is designed around the concept of mass centralisation. 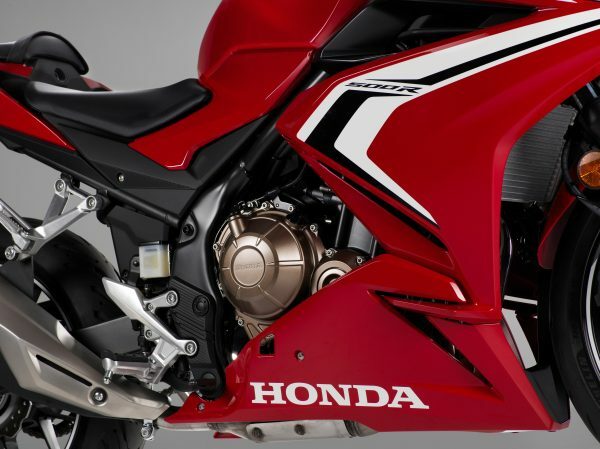 The heavier parts of the bike, including the engine, are placed as close together as possible toward the centre of the machine, substantially improving steering and handling. 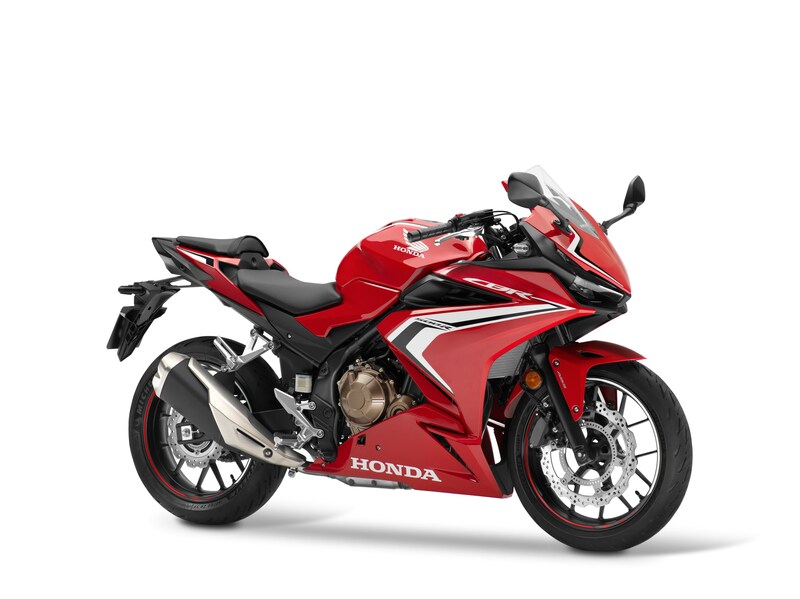 Emergency Stop Signal: The CBR500R’s Emergency Stop Signal technology helps keep you safe if you ever need to hit the brakes unexpectedly. 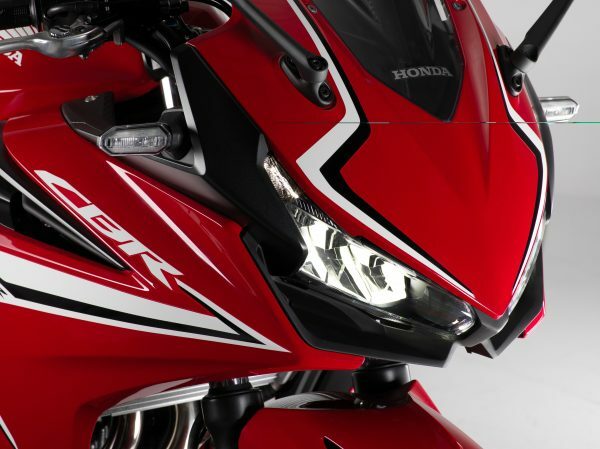 The system detects sudden braking and automatically activates the front and rear hazard lights, which flash to warn any nearby vehicles.